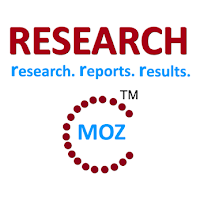 ResearchMoz.us includes new market research report " Global Calcium Stearate Market 2015-2019: Industry Size, Shares, Growth, Analysis, Trends And Forecast" to its huge collection of research reports. Calcium stearate, one of the most commonly used metallic stearate for industrial and commercial applications, is a nontoxic and non-irritating carboxylate of calcium. It is commercially produced by the reaction of stearic acid with calcium oxide. It is sold in the form of a white waxy powder. The global calcium stearate market to grow at a CAGR of 5.14 percent over the period 2014-2019. Although calcium stearate has numerous applications, most of it is used as a lubricant in the plastic and rubber industries during the production of PVC, HDPE, and PP; and as an anti-caking agent in rubber processing. Calcium stearate is listed as ""generally regarded as safe"" in the FDA database, and is used in the production of oral drug formulations and candies in the pharmaceutical and food industries. Apart from the aforementioned uses, calcium stearate also finds usage in the construction, personal care, and paper industries. Global Calcium Stearate Market 2015-2019, has been prepared based on an in-depth market analysis with inputs from industry experts. The report covers APAC, Europe, the Americas, and ROW; it also covers the global calcium stearate market landscape and its growth prospects in the coming years. The report also includes a discussion of the key vendors operating in this market.